I had a nice chat with the CEO of Kyrö Distillery Company, Miika Lipiäinen, in Bergen recently. The distillery is based in Isokyrö, Finland, and was established just over a year ago. They started producing in April 2014. They are a rye whisky distillery, and will have their first proper rye whisky for sale in 2017. For now they are selling a product called Juuri (Root), which is basically new make or moonshine, a rye gin called Napue, and Koskue which is a cask matured gin. In addition they have Verso Rye (Sprout) which is a rye spirit that has been matured for at least four months in 64 liter American oak casks. 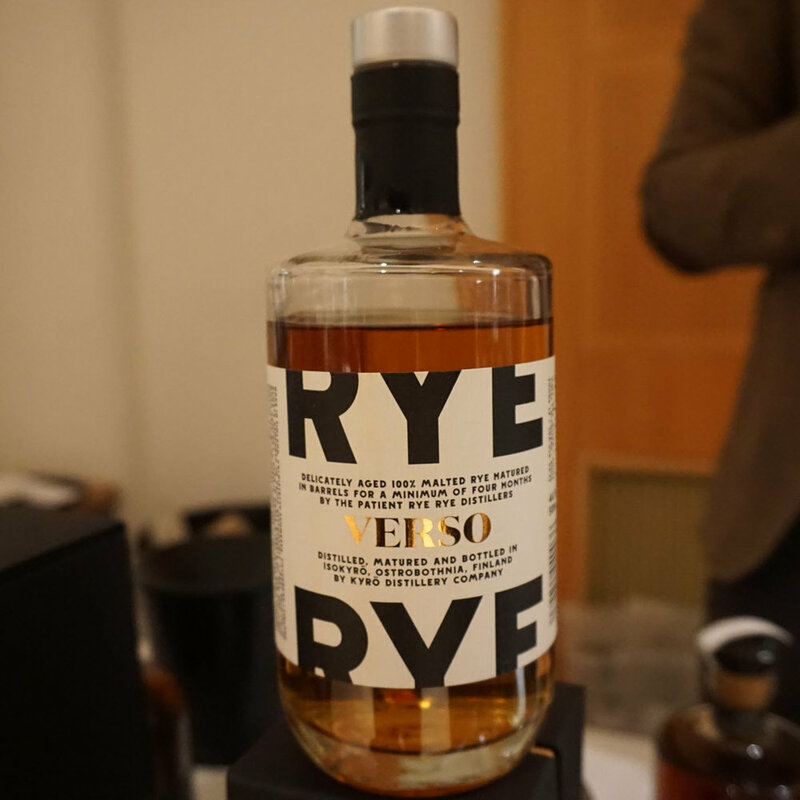 Verso Rye is a limited release where they have vatted 8 of their 64 liter casks, resulting in an outturn of 664 bottles. For now this product is not for sale in Norway or Sweden, but Cask Norway will bring some bottles to Norway in May 2015. Nose (21/25): Lots of grain and maltiness. Very fruity. Mild licorice and some chocolate notes. It is definitely young, and has a new make feel, but it is very nice. Taste (21/25): Malty and creamy. Oily mouthfeel, and nice rye spiciness. Finish (21/25): Rather dry on the finish, It is short and sweet - literally. Surprisingly rich with lots of malt and spice. Balance (22/25): A clear example of a whole that is greater than the simple sum of its parts. We are looking forward to trying their proper rye whisky in 2017!